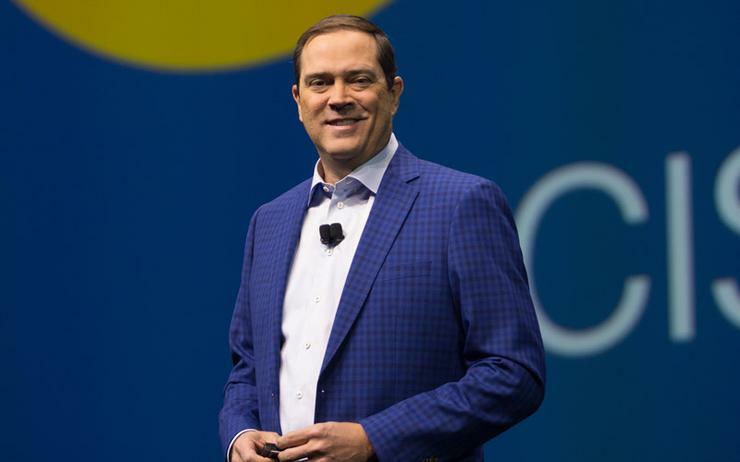 Fresh off a positive earnings call that saw Cisco report $11.9 billion in revenue for the 2Q 2018 – a three per cent increase from the same quarter in 2017 and the first time in six quarters the company reported year-over-year sales increases – CEO Chuck Robbins has a lot to crow about. First of all, the vendor's most strategic new direction: The Network. Intuitive, more commonly known as intent-based networking is rapidly finding acceptance amongst customers, Robbins said. At the centre of its intent-based networking plan is the Catalyst 9000 switch which found a home in 2,100 new Cisco customers premises this quarter – bringing the total to 3,100 since its announcement last June. 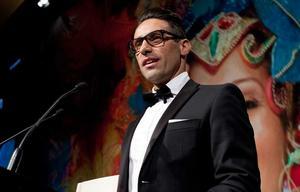 Robbins called it the fastest growing product in Cisco's history. 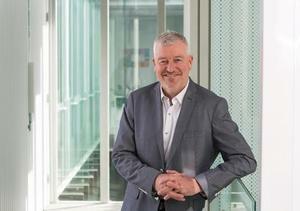 Robbins talked with Network World's Michael Cooney about the status of the networking giant's key intent-based networking push, campus-switching directions and the use of artificial intelligence technologies in the enterprise in an interview after the recent earnings call. Cooney: Reflective of the earnings call, can you update our readers on the status of Network. Intuitive rollout? Robbins: If you think about what's happening with our customers today, they are dealing with multiple public-cloud providers, they are dealing with 10, 20 or 50 SaaS providers they are getting services from, and they still have private data-center infrastructure to support. And then they have this explosion of IoT devices and increasing connectivity at the edge so when you look at all that, the network is really going to be at the heart of how customers manage increasing complexity. For those reasons and others, we last June announced Network. Intuitive because we felt like we need to fundamentally reinvent networking and how networks are built to accommodate what our customers are trying to deal with now and how we can help them manage this complexity in the future. So we launched Network. Intuitive and the first platform was the Catalyst 9000, and we also launched the DNA Centre which is an automation platform. We launched encrypted traffic analytics, which lets users see malware inside encrypted traffic without decrypting it. Fast forward to this quarter the real highlight for us was that our core innovation, the Catalyst 9000, had more than double the customers who have adopted the technology. It is the fastest ramping new product in the history of Cisco, which is pretty amazing. We had 1,000 customers after the first quarter, and we have 3,100 customers now. We have more platforms that will transition to this architecture. Enterprise customers, when you move them to a new architecture, they are going to take their time evaluating it to make sure it can integrate into their overarching management system and to make sure it is appropriately ready for their environments. Cooney: Can you delve a little deeper into the subscription idea and what that brings to customers? Robbins: The Catalyst 9000 was introduced with a subscription that brings a number of innovations to the customer. A couple weeks ago we added more features to the intent-based architecture around assurance across the data centre, the networks as well as the WIFI networks. The predominant number of the Catalyst 9000s are going out with the advanced software subscription which is really what enables the automation and the security embedded in the network and the analytics capability. So now if you look back at what our customers are dealing with around complexity and why this matters so much - Mckinsey [McKinsey Study of Network Operations for Cisco – 2016] had said the customers are spending $60 billion annually operating networks – three times what they spend on the network technology itself. The study also showed 80-95 per cent of network changes are performed manually which leads to error, and 43 per cent of the time the IT team spends troubleshooting network problems. So getting at all those issues is what we have been all about. That's what lead us to being this new version of the network, which candidly we are still only on the front end of. Cooney: Can you expand further to talk about the advanced software and why it is important? Robbins: If you go back to the original launch we talked about intent, which is really delivered through automation and context which is delivered through analytics. What we have done is re-written our operating system to not only support modern API structures and programmability but also to build analytics capabilities out of the network which helps deliver this context. So if you look at these assurance capabilities we have built, we have the Cisco Network Assurance engine, which use this verification of what's happening on the network to help keep the businesses running as the network is changing. We launched Cisco DNA Centre, which is the assurance ability that feeds back into that overall DNA Centre, which will be the crux automation and analytics platform. This gives greater insights and visibility to reduce time and money spent to get at those issues – like cutting down on troubleshooting costs across both wired and wireless environments. Also what we did is we actually created the capability to make this platform backwards compatible for a number of our products that are out there today this new operating system that we wrote enables it to support at least a full generation of products that customers could actually run across a broader set of products than just the Catalyst 9000, so not just limited to Catalyst 9000.